70005 passes Alderley Edge, 17th October, with 4M61 1300 Maritime - Trafford Park (which was reported as working with 70006, but my recollection and a a mark below the windscreen show that this is 70005, could they have swapped at Basford Hall?). 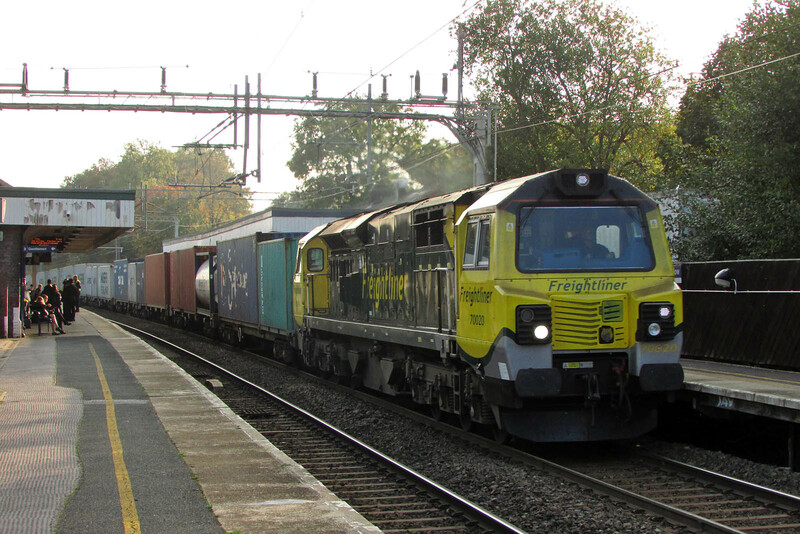 70020 passes Wilmslow on 19th, 4H81 1500 Basford Hall - Trafford Park. 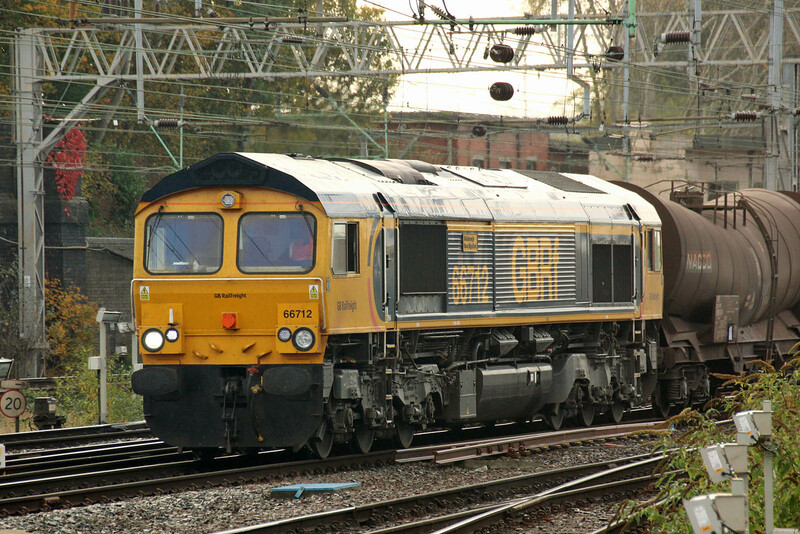 68018 Vigilant + 68002 Intrepid arrive at Chester with 6K41 14:58 Valley - Crewe. 68002 at rest at Chester. 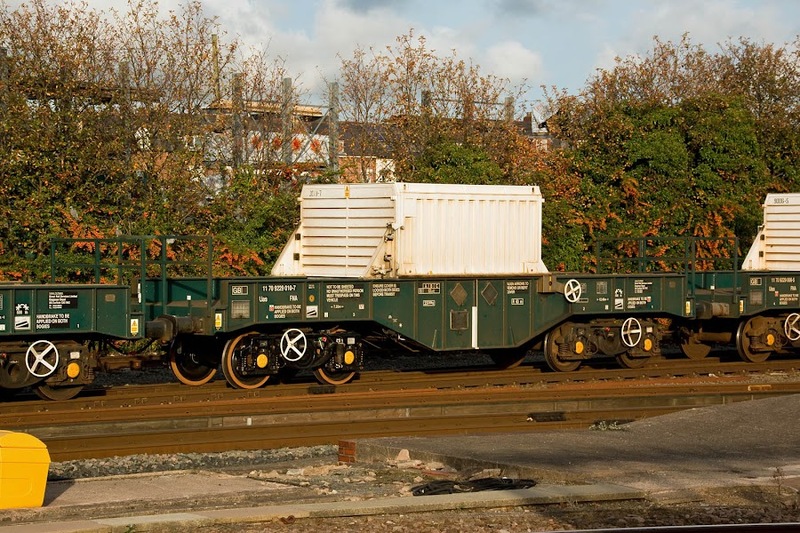 11 70 9229 010-7 is a FNA wagon built by WH Davis in 2014. Bright midday sunshines as 70007 passses straight through with 4O14 07:09 Lawley Street - Maritime. Similarly 66556 passed through with 4O90 05:27 Leeds - Maritime. 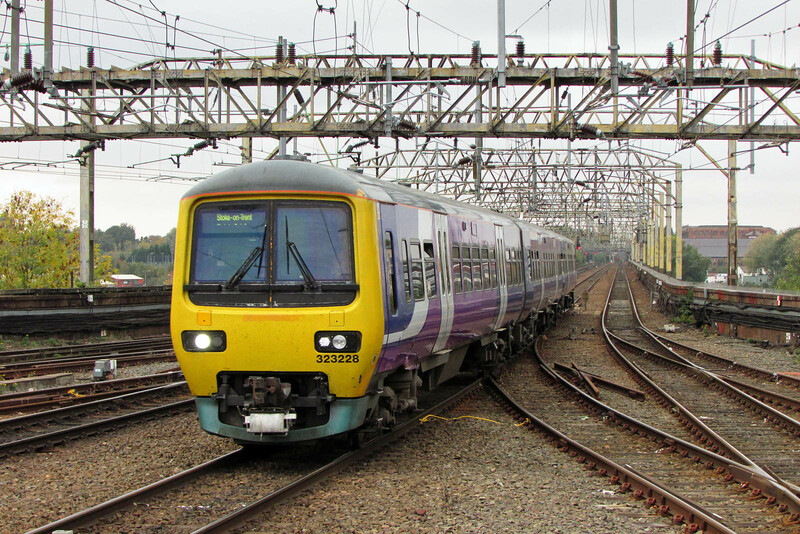 The Saturday turn from Leeds has resumed after the Derby blockade. 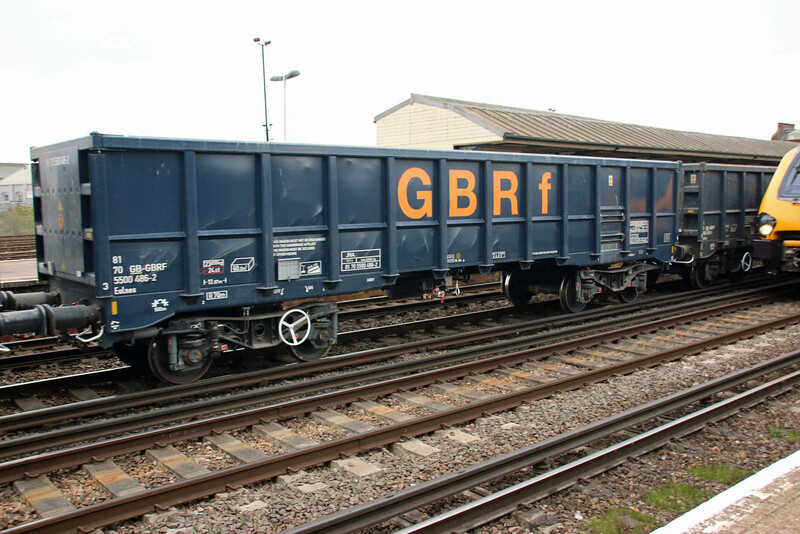 Note the various solutions to restricted loading gauge on this route. 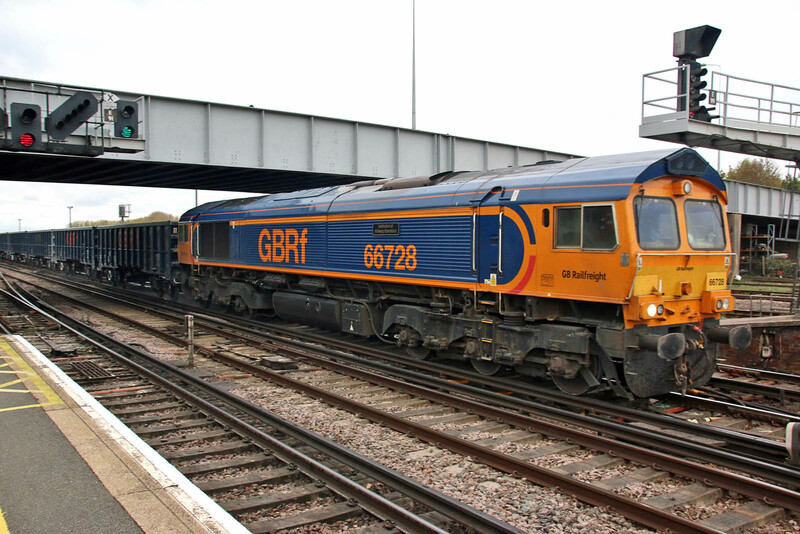 66545 arrived with the flats 4B06 11:10 Maritime - East Yard for weekend storage. It then shunted the yard and moved dead red 66206 to the DBC T&RSMD, as seen here. 66553 + 66420 were 0O26 10:50 Hinksey - Eastleigh which continued immediately to Maritime . 370185 is one of the Freightliner HHA wagons delivered to Raxstar at Eastleigh for cutting up, with recovery of the bogies. 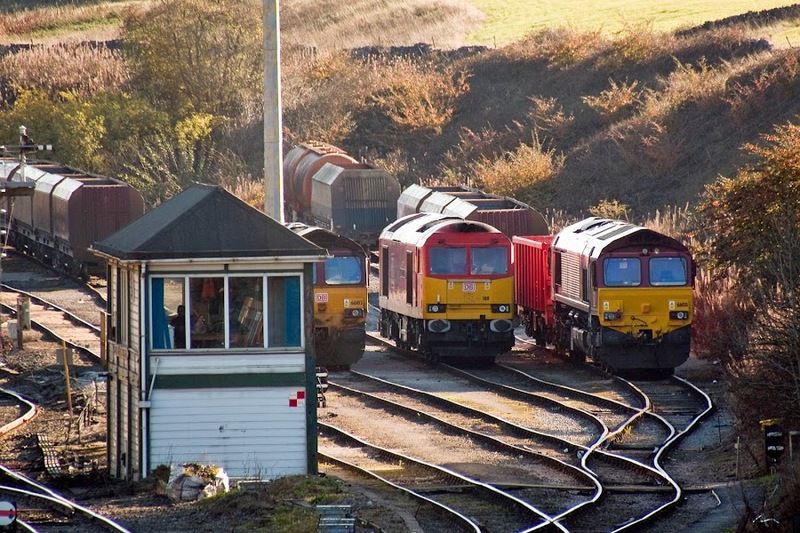 Similarly 370126, both were delivered to the works on Thursday 18th. DR98923 + DR 98973 was one of only four trains on the Chandler's Ford line, as RMT - SWR were on strike, running as 06:20 Effingham Jn. C.H.S. -Effingham Jn. C.H.S,at this stage on a return journey from Warminster. 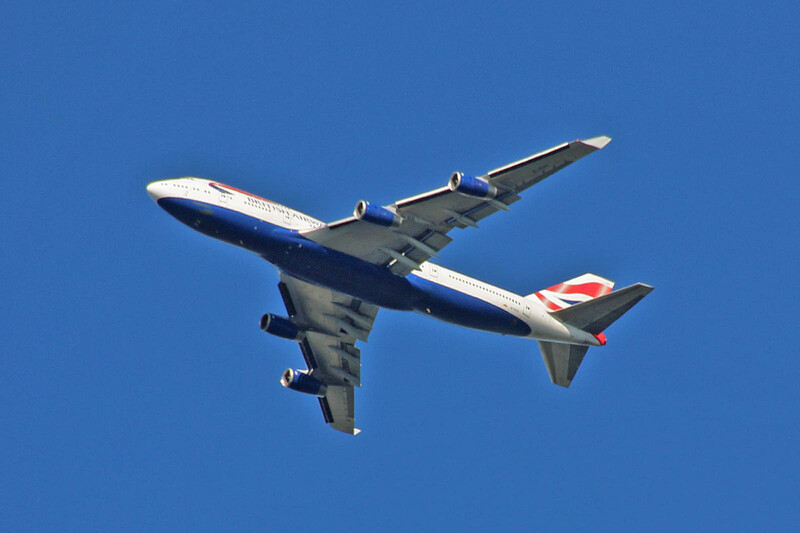 G-CIVX (August 1998) was really low as it was approaching Bournemouth. It is the first BA 747 to go there for maintenance with GAMA, flying in direct from New York JFK as BA 9175, having gone technical there on 16th. 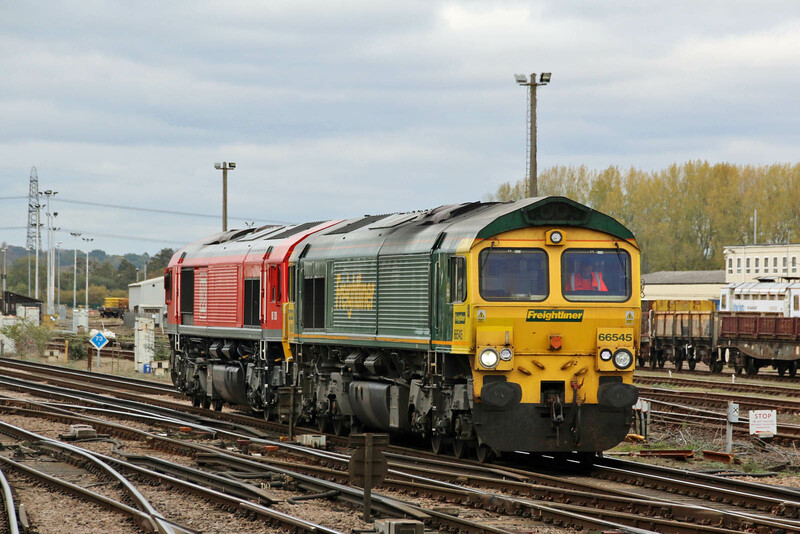 66728 with 16 JNA wagons 6O19 12:09 Wellingborough - WesternDocks, understood to be for Mountfield gypsum traffic. 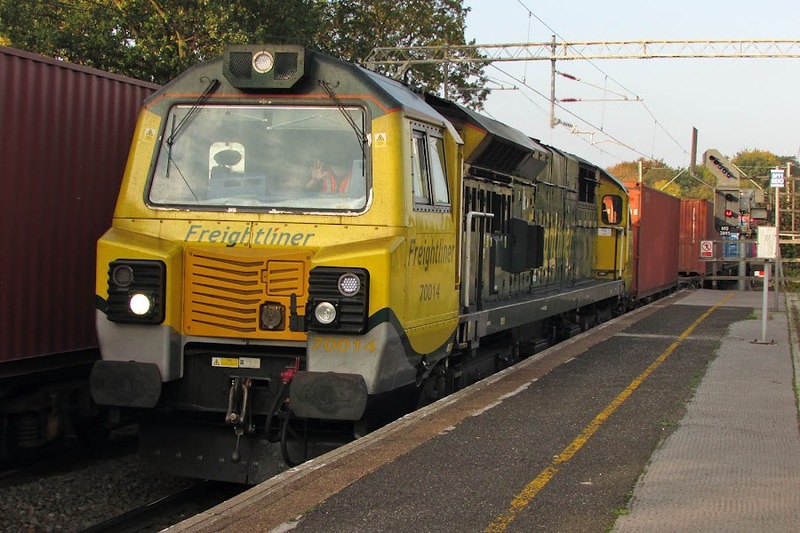 The Mountfield containers have moved (4E19 12:02 Mountfield Sidings (Gbrf) to Middlesbrough Dawson Gbrf) for a new contract of traffic to Hotchley Hill (on the GCR(N)). 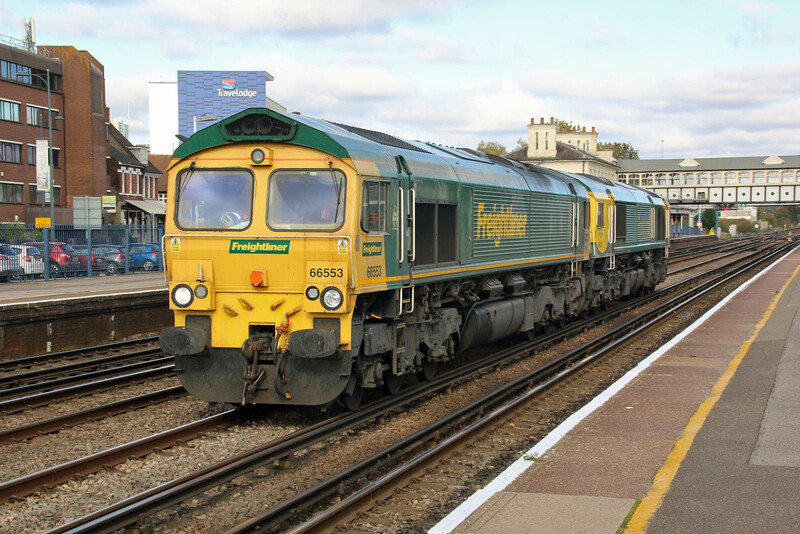 66728 Institution of Railway Operators approaches and passes Eastleigh in winter light. 81.70.5500.502-6 is a JNA built this year by Astra Rail in Romania. 81.70.5500.486-2 is a similar JNA. Two are numbered in the 164 to 298 series. List from Dave Kirwin's Flickr (I was bowled for the second last). 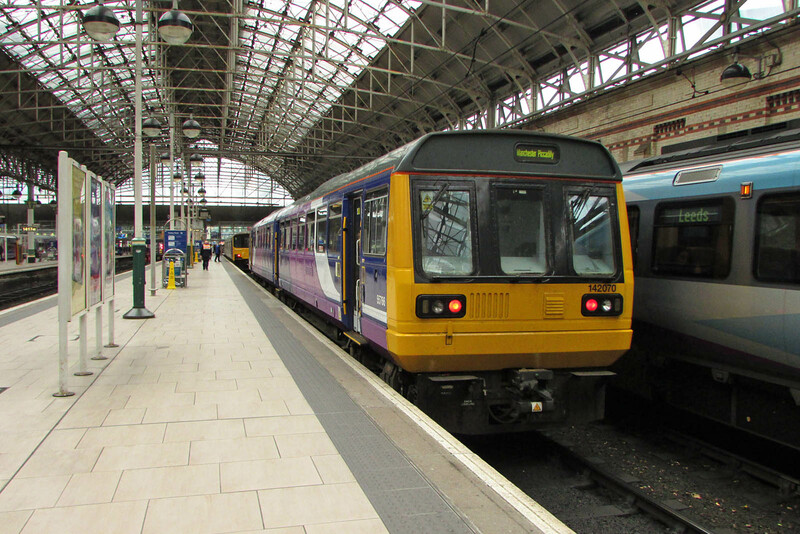 Never forever, the Leyland National derived Class 142 Pacer units are due for elimination by December 2019, as they will not comply with mobility access requirements. The units were assembled by BREL at Derby using components from Leyland at Workington. 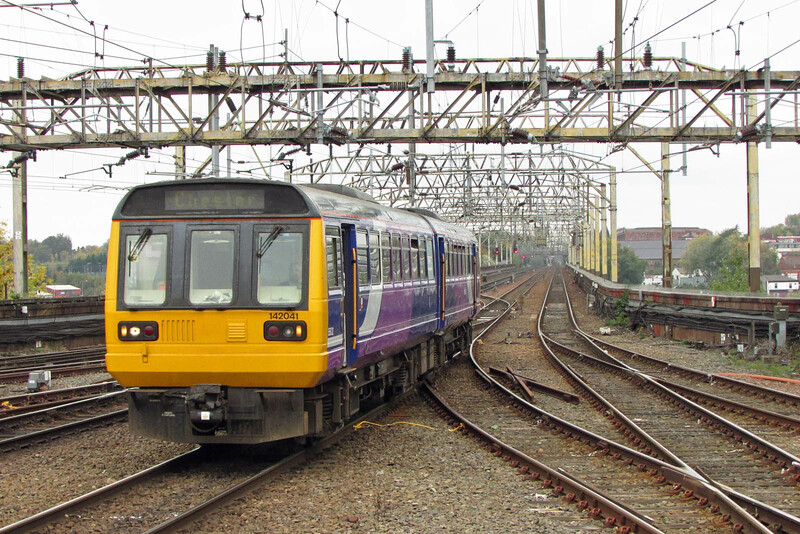 142005 was new to traffic in September 1985. Seen at Oxford Road on Tuesday 16th October. 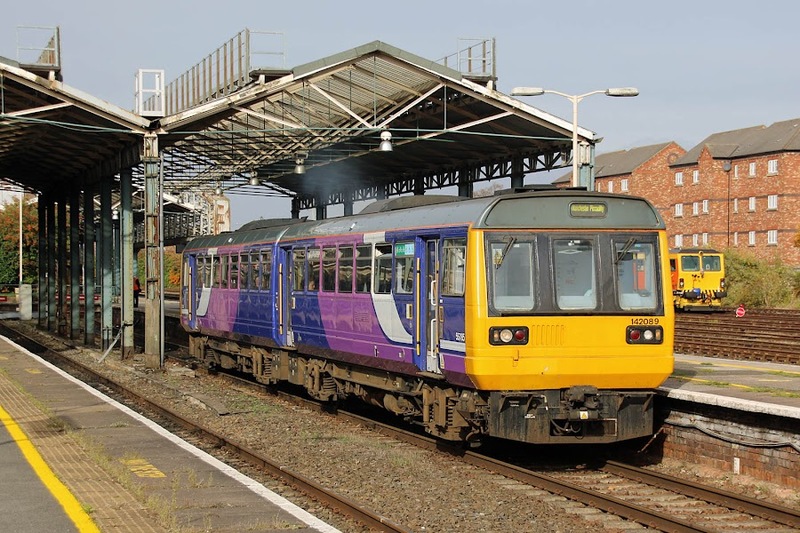 142041 with modified destination display at Stockport, Tuesday 16th. New in February 1986. 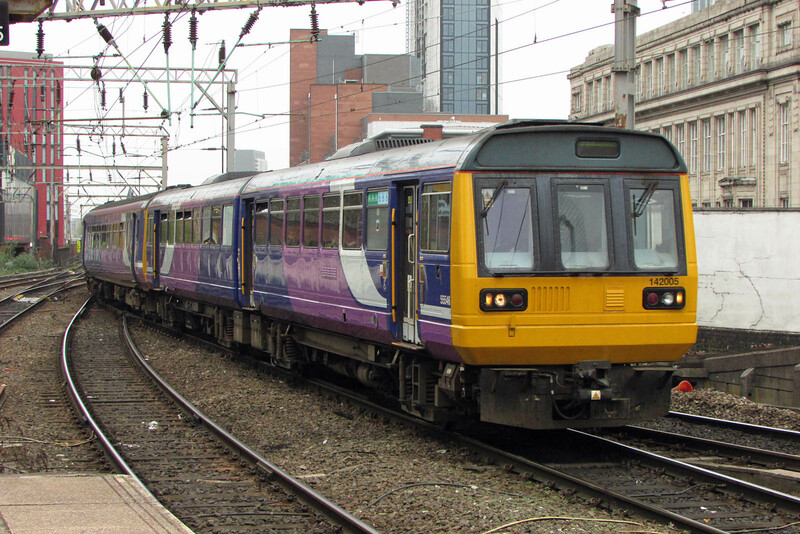 142070 at Manchester Piccadilly, 16th October. New in February 1987. 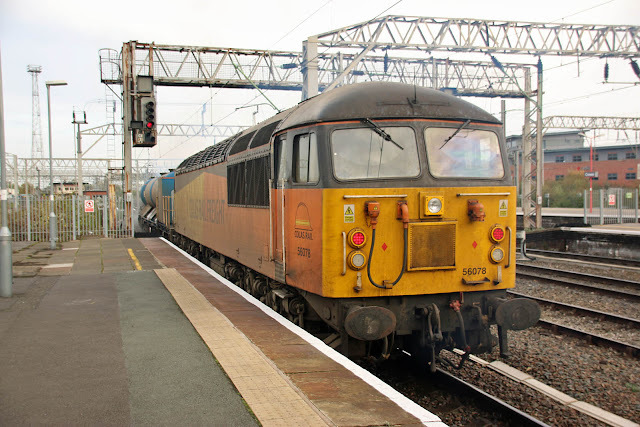 142089 departs from Chester for Manchester, Wednesday 17th. New in April 1987. 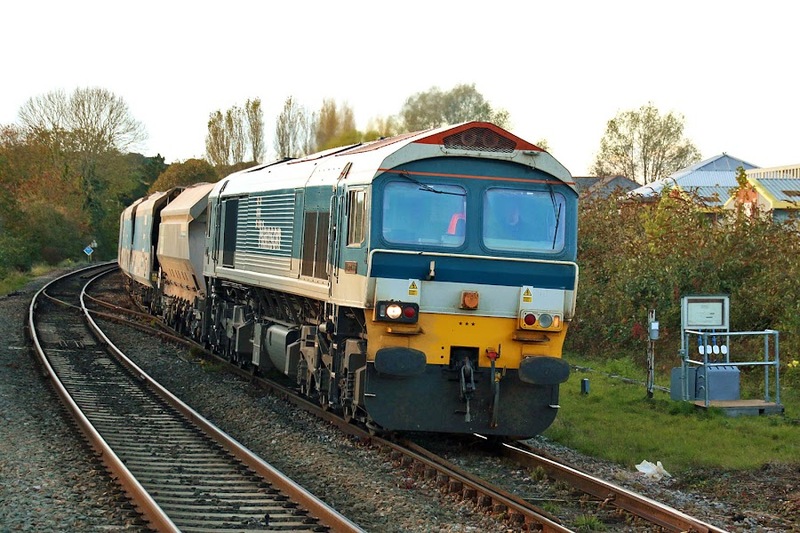 59103 Village of Mells approaches Romsey with 7O40 13:35 Merehead - Eastleigh, Friday 26th October. 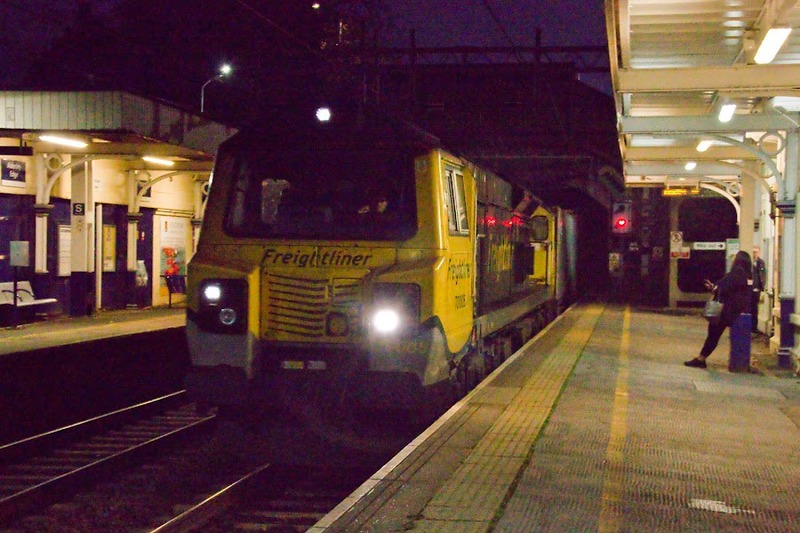 60062 has been working in the darkness, sorry no pictures found. On Thursday the South Wales coal hoppers were again worked past the monitoring equipment at Swaythling: 665xx 4O40 17:58 East Usk Yard (Fhh) to Southampton M.C.T., 66518 4V41 22:44 Southampton M.C.T. to East Usk Yard (Fhh) - passing Swaythling at about 23:10. and losing 7 minutes in the area. 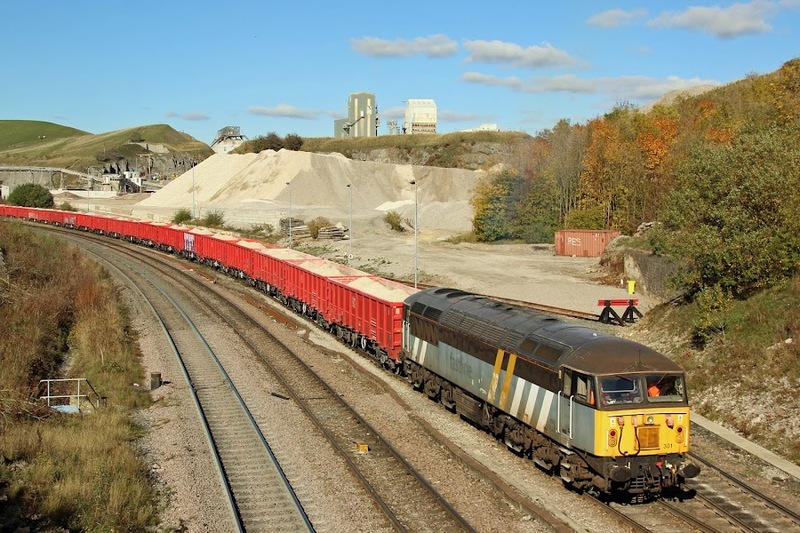 56301 is now the resident shunter for Cemex at Dove Holes Quarry. 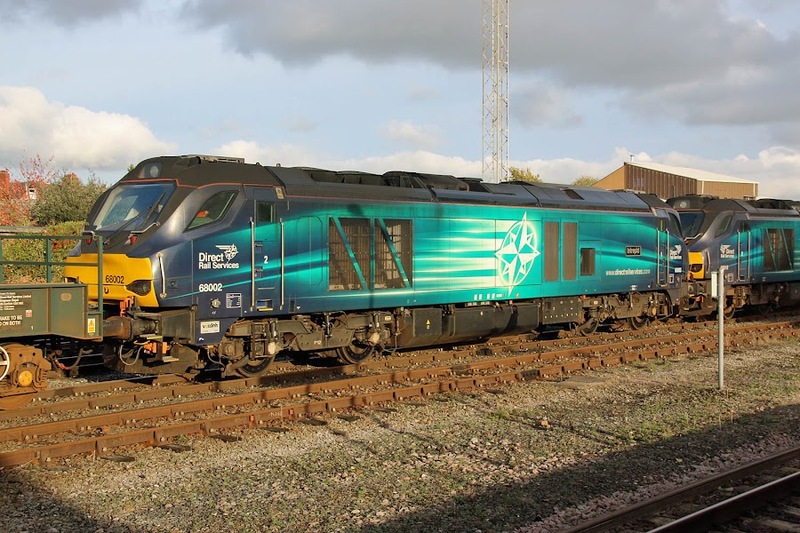 "The hire period should be for 60 to 90 days and as part of the hire arrangement 56301 will receive a replacement set of bogies. These replacement bogies will be to mainline standards and will replace the set currently under 56301, which have wheelsets with tyres at near scrap size." 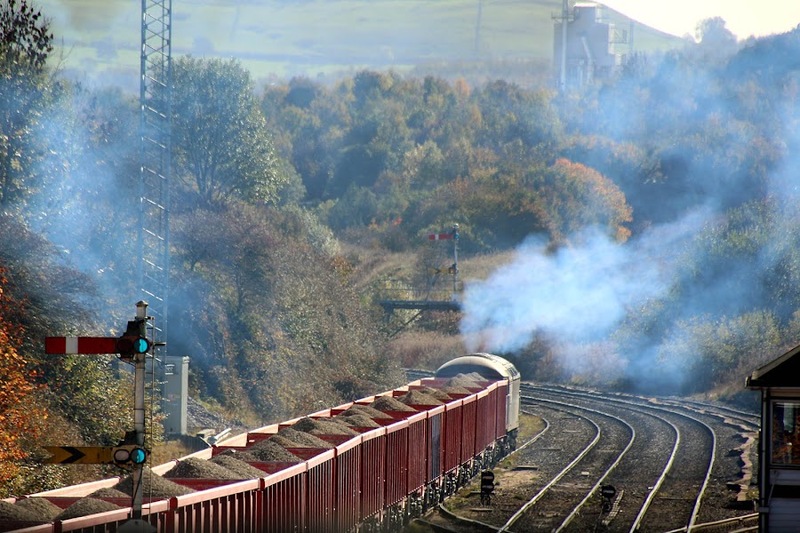 This is the difficult part, which is highly stressful for the locomotive. 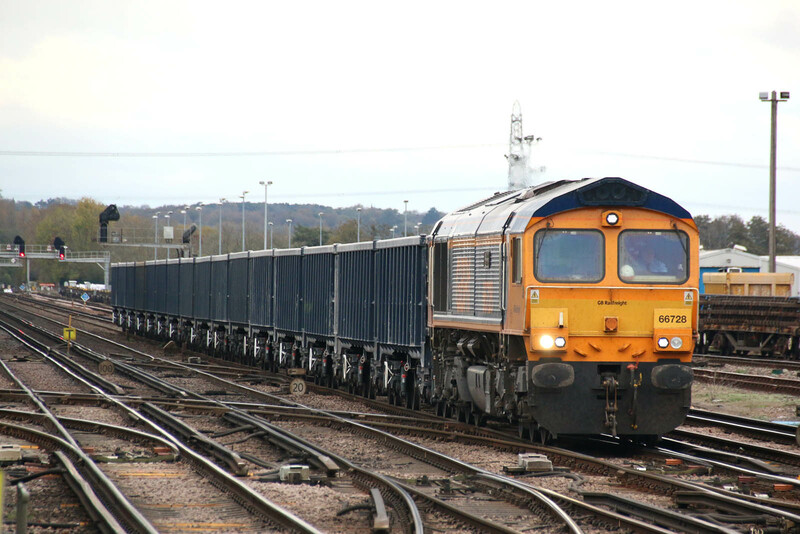 Here 56301 pushes a loaded rake of MMA box wagons backwards, at a speed which was but a creep. Detail of 56301 at rest. New as 56045 from Doncaster in June 1978, and once named "British Steel Shelton". 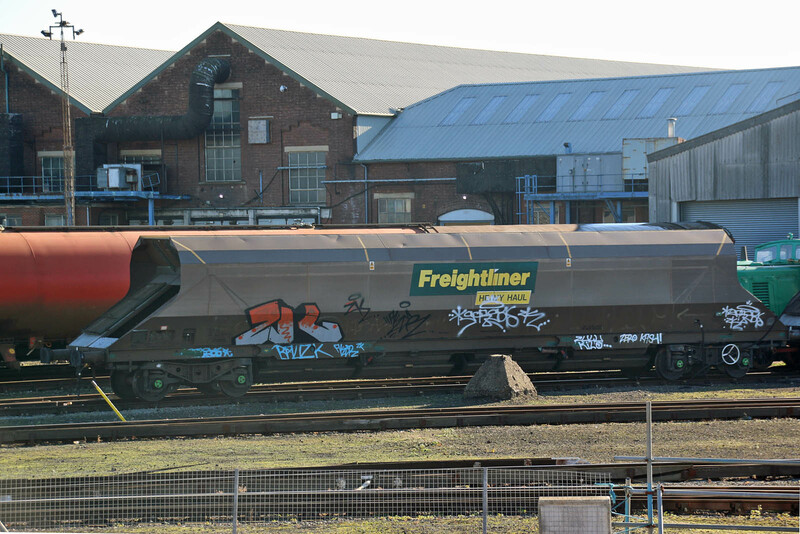 66760 4M11 09:30 Washwood Heath - Peak Forest Cemex Gbrf (to be pushed back into the sidings on the right). 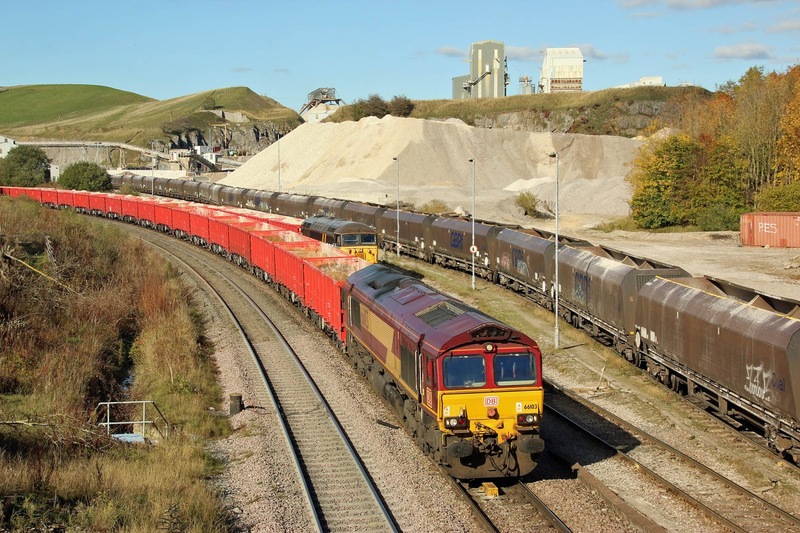 66103 6Z37 08:07 Small Heath - Peak Forest Cemex Sdgs. 66103 pushes back the empties between the rakes after which the locomotive came off and was replaced by 56301. 66065 6H02 13:07 Dowlow Briggs Sdgs - Ashbury. Peak Forest South signal box was opened in 1925 to a Midland Railway type 4d pattern. 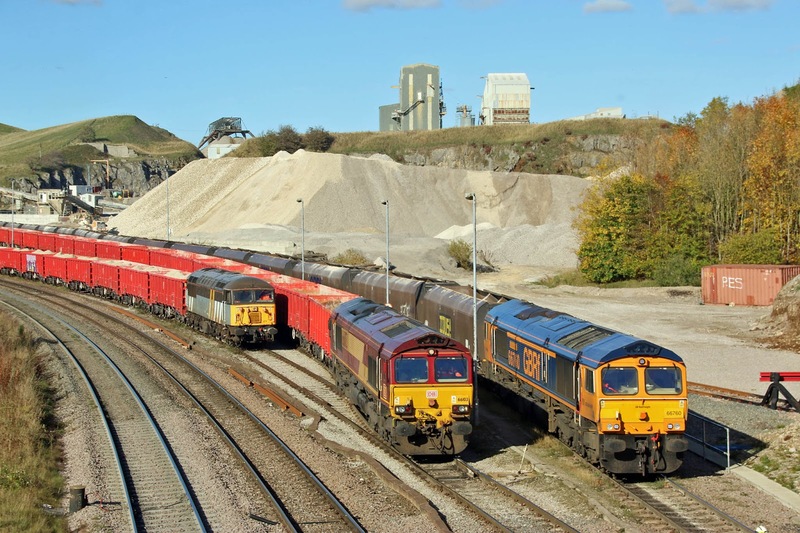 66103, 60100, and 66155 lie in the DBC Cargo sidings to the right. Unfortunately no daylight tug action. At Chester, a terminus for Merseyrail, some Class 507 and 508 workings, which are due for replacement by Stadler Class 777 currently under construction to enter service in 2020. 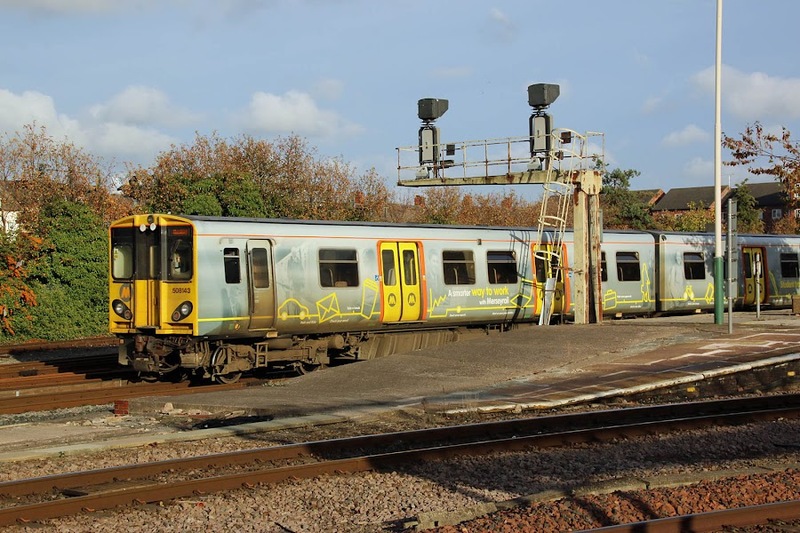 Class 507 three car units were introduced from 1978 into Merseyrail Northern Line service, being built at BREL York. 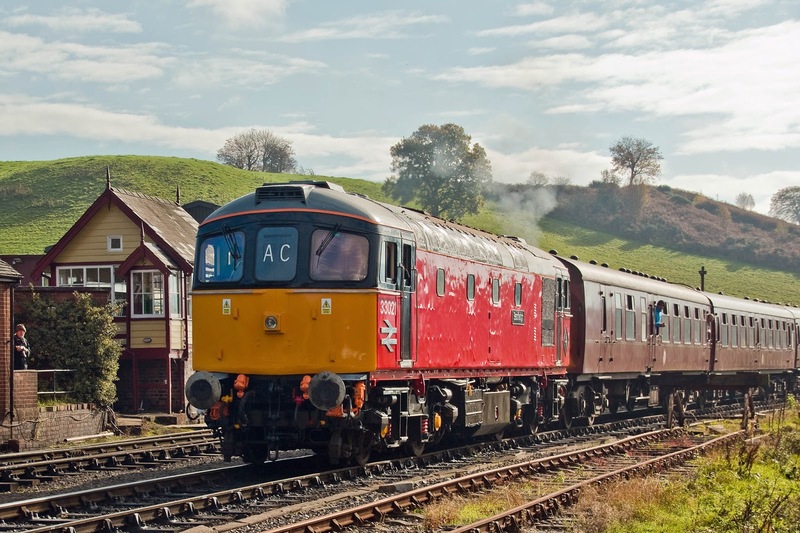 All remain in service except for 507022 damaged in a collision in 1991. 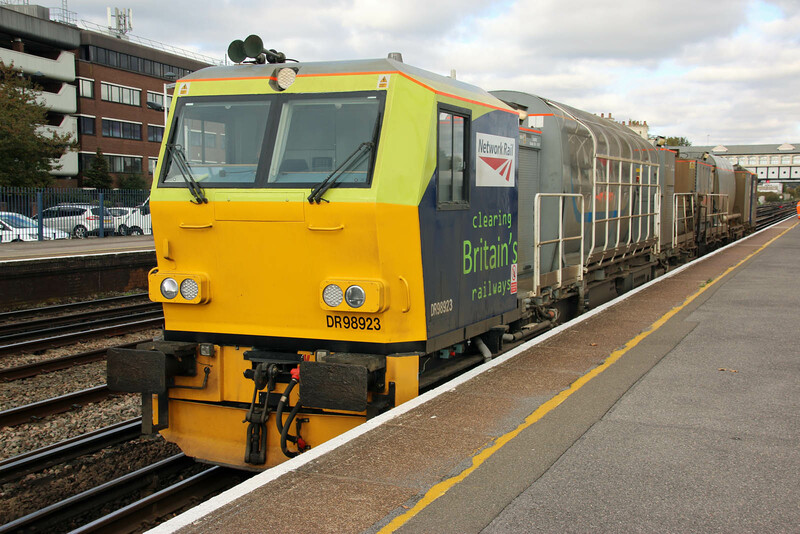 Class 508 were originally delivered from BREL York from 1979 as four car units having been re-prioritised into Southern Region service. 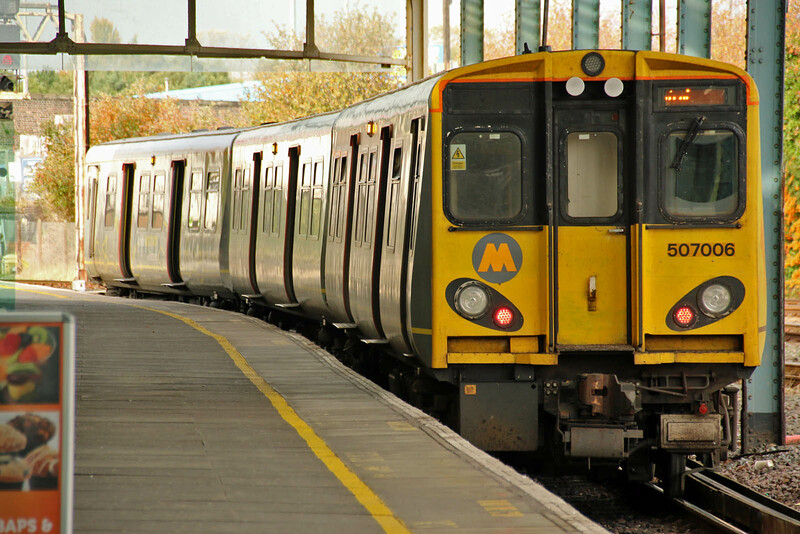 Following reduction to three cars, from 1983 these units were migrated to Merseyside, where they contributed to modernisation of Wirral Line services. 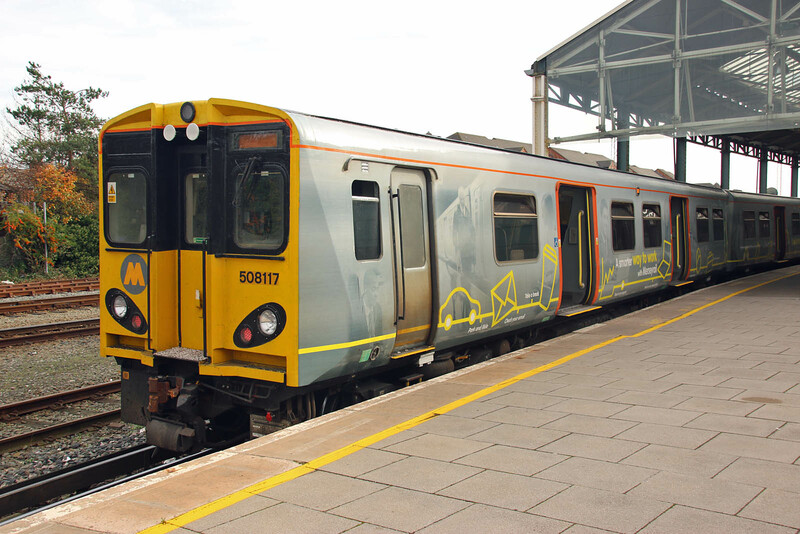 The fourth TS coaches migrated to Class 455 units. 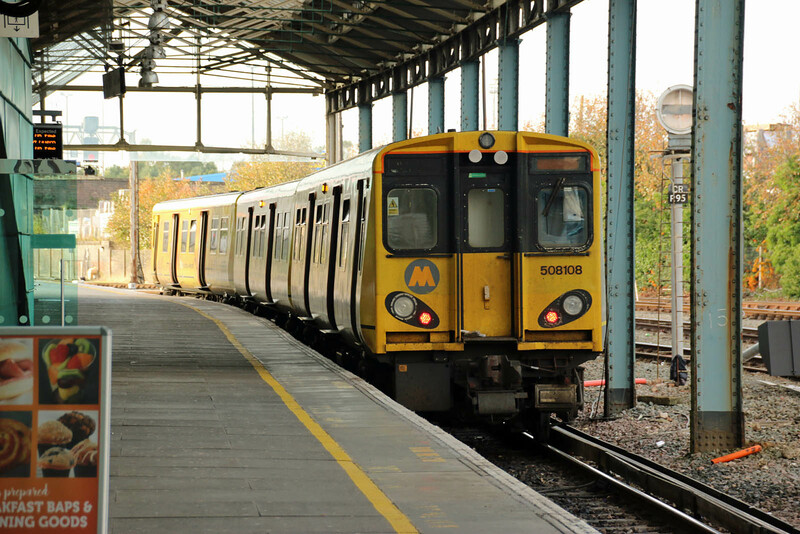 The classes have worked interchangeably on Merseyrail since 1997, and the fleet is now owned by Angel Trains. 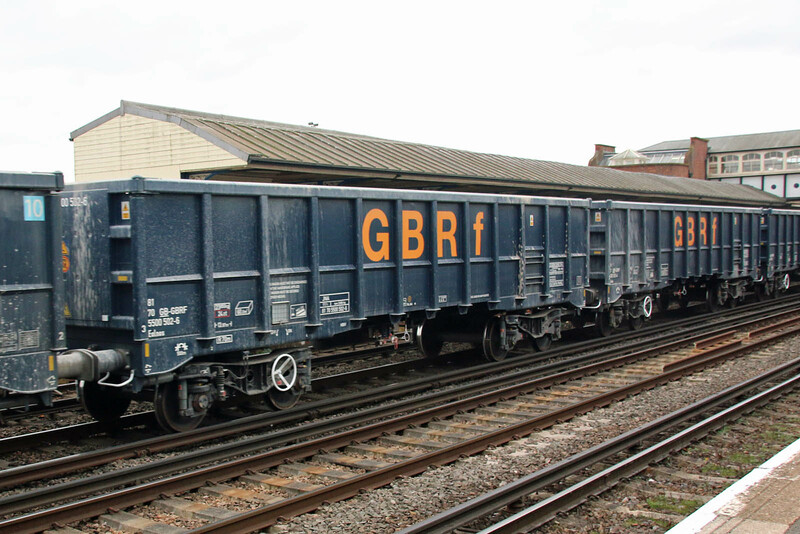 508108 was new in November 1979 as 508008, and reformed in June 1984. TS 71533 was transferred into Class 455 5722 the following month, and runs today for SWR. 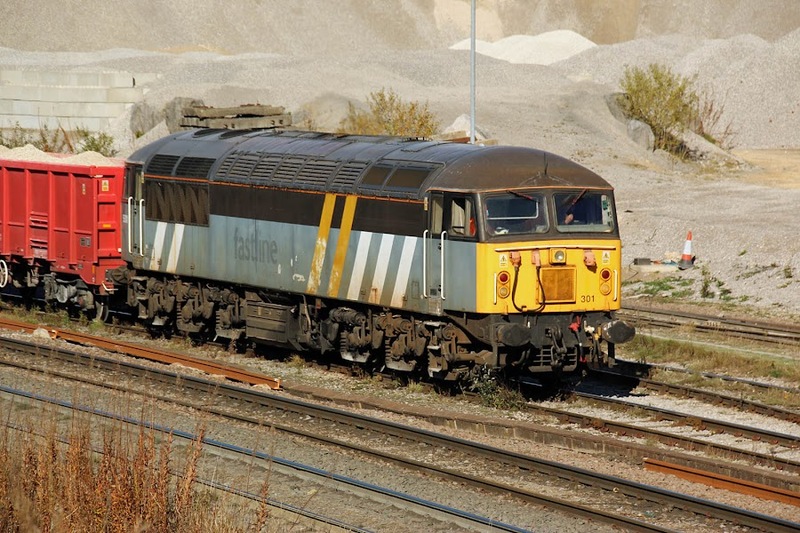 508117 was new as 508017 in December 1979, reformed in October 1983. TS 71542 went into 5711 in May 1984. 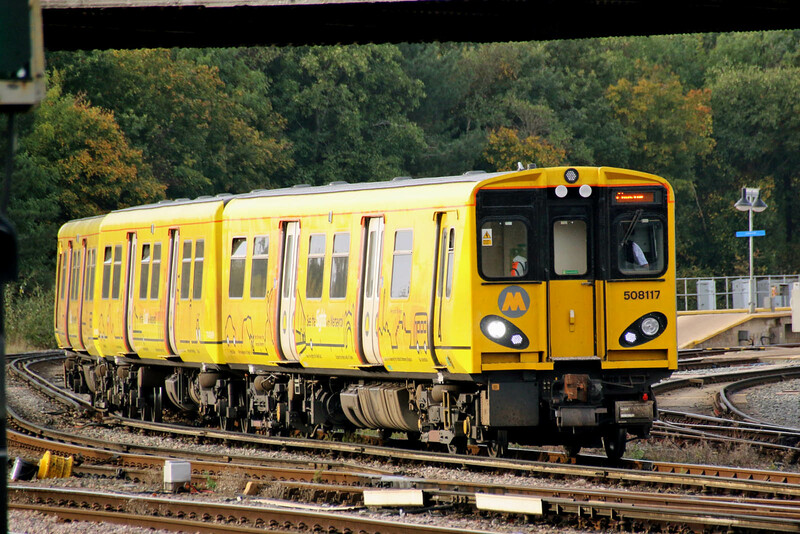 The same unit on another arrival - the route is Chester to Chester, so this is its other yellow side. 508143, the last in sequence, was new in August 1980 as 508043, and was reformed in November 1991, with TS 71568 going to 5720 in July 1984. 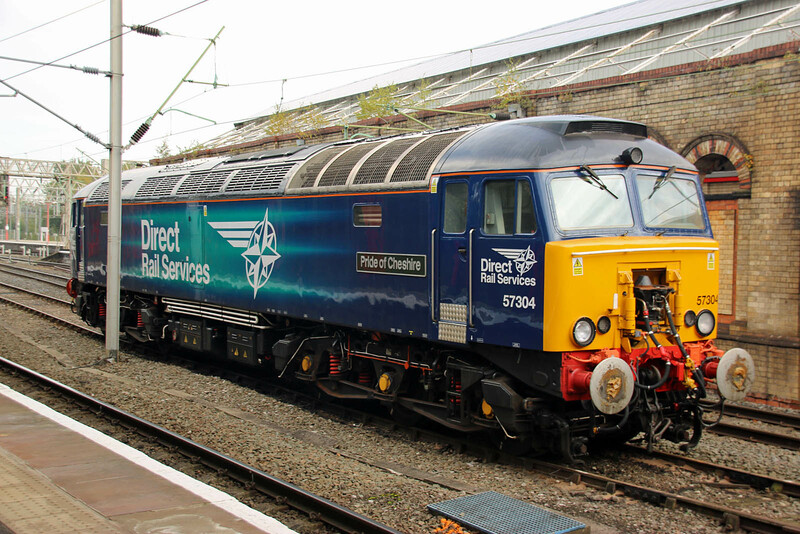 507006 was built carrying de-icing equipment. (I don't have the date of delivery, but it appears to have been about October 1978, thus 40 years old). 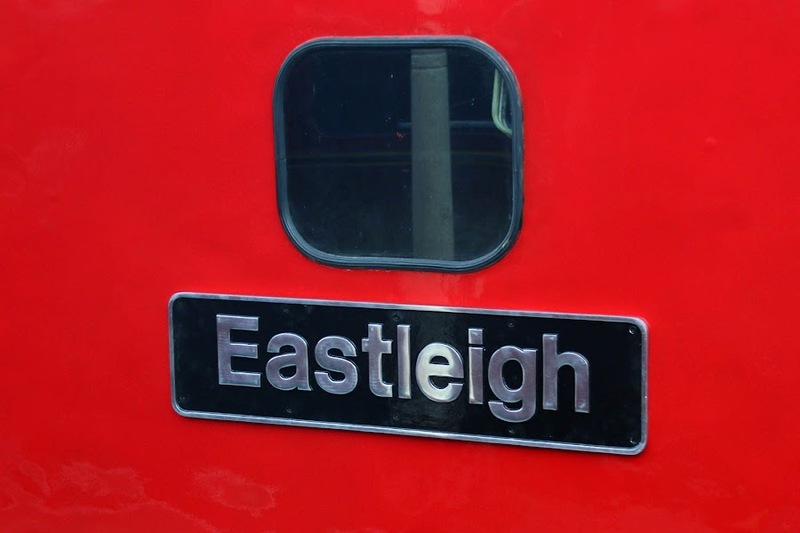 33021 has been returned to its early 2000's red colours, with the name Eastleigh. Seen approaching Cheddleton from Froghall. 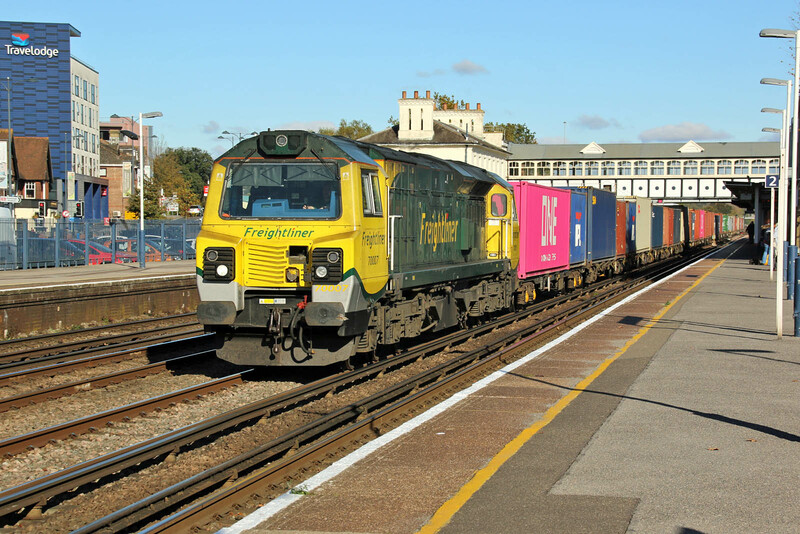 Two departures - reminiscent of the Portsmouth Cardiff workings. 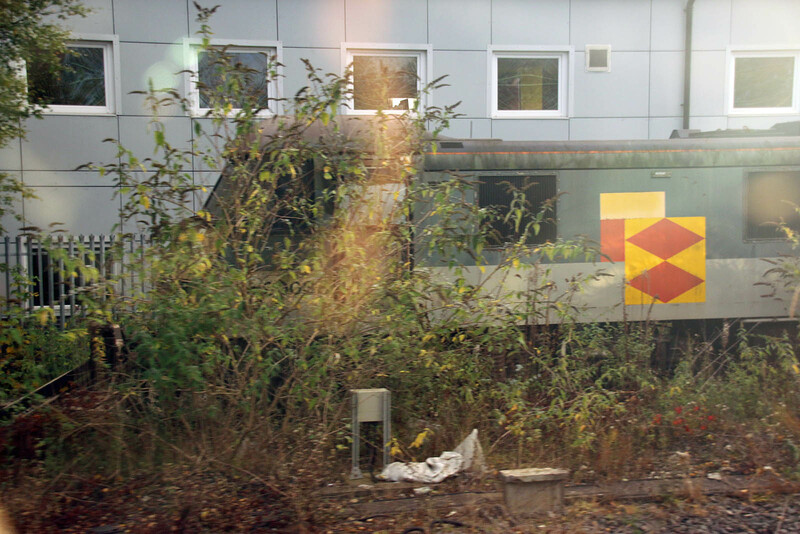 The newly overhauled and repainted locomotive backs onto its train. In Cheddleton station awaiting departure for Ipstones. Whither 33008? Listed in the stock at Shackerstone, having been at Cranmore for attention. Changing trains, to head to and later from Chester. 56087 + 56078 on RHTT duties 3S71 21:20 Shrewsbury Coleham Ss to Shrewsbury Coleham Ss. 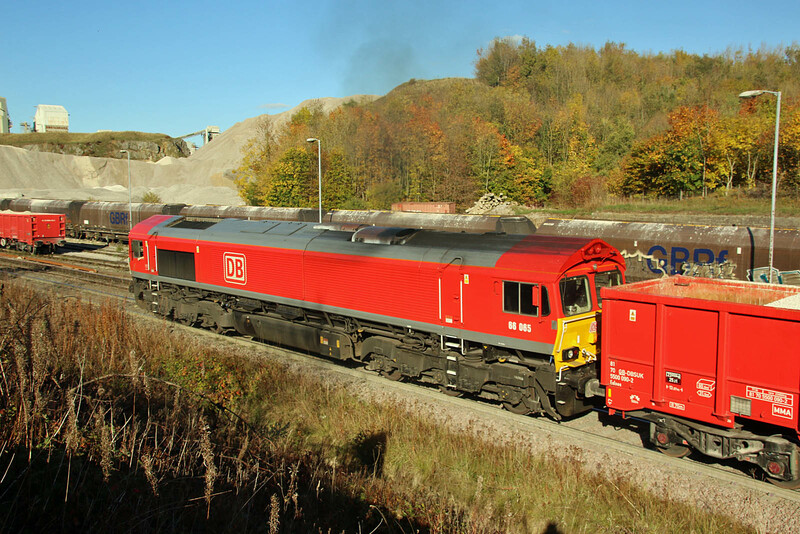 56078 is driven at the rear in multi through the set of wagons. 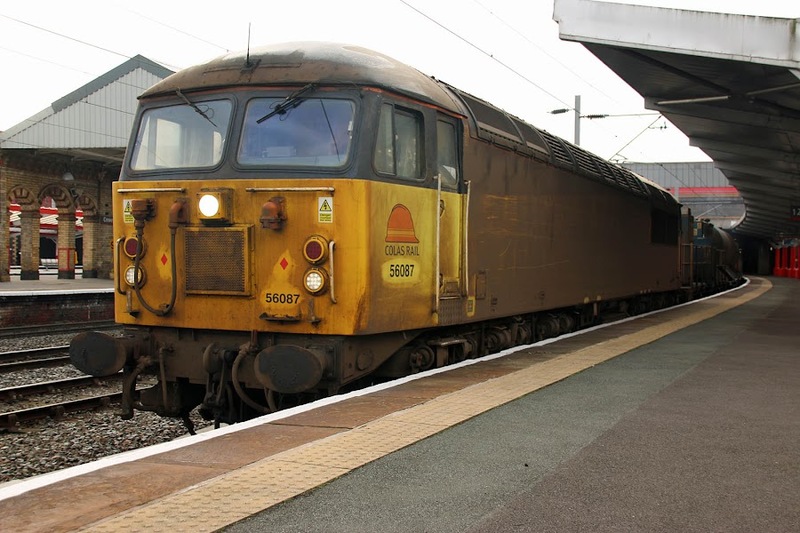 57304 Pride of Cheshire, approprately placed at Crewe as a WCML Thunderbird. 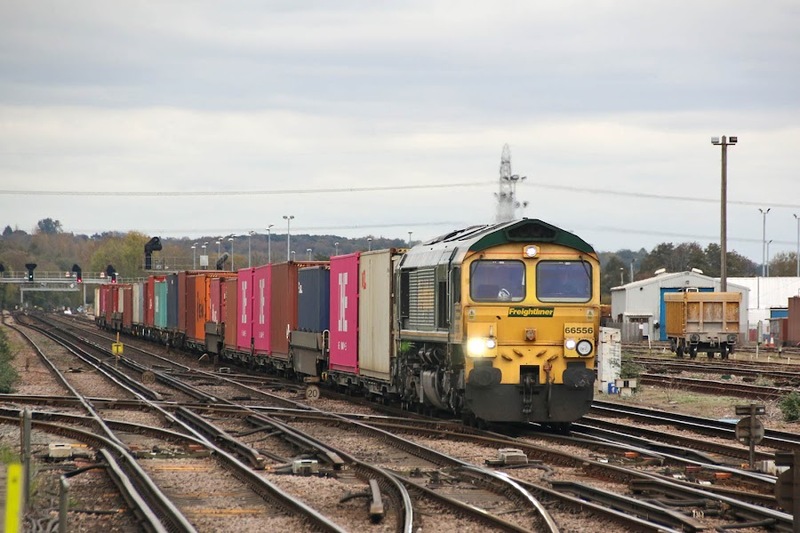 This was in Eastleigh Works from 21st February until 14th March this year. 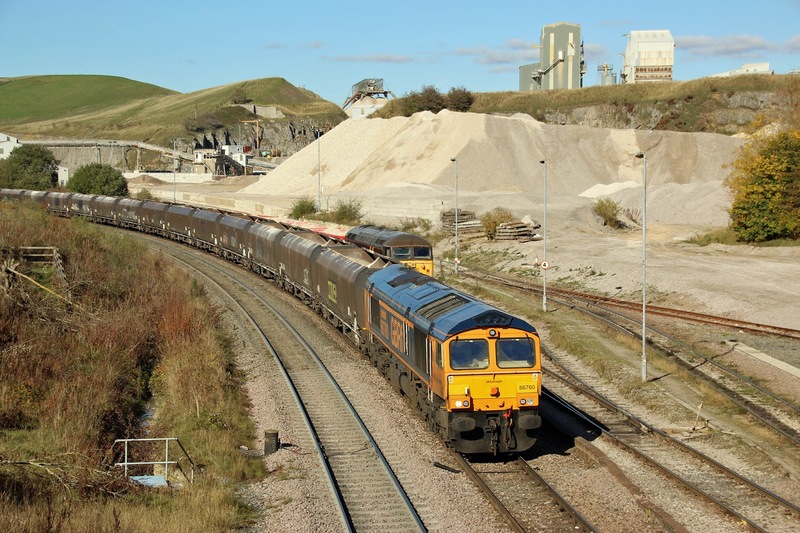 66712 Peterborough Power Signalbox slows to a stop with 6S94 04:28 WO Wembley - Irvine (for UPM Paper) formed of ICA tanks loaded with china clay slurry (kaolin), the working originating from Antwerp. 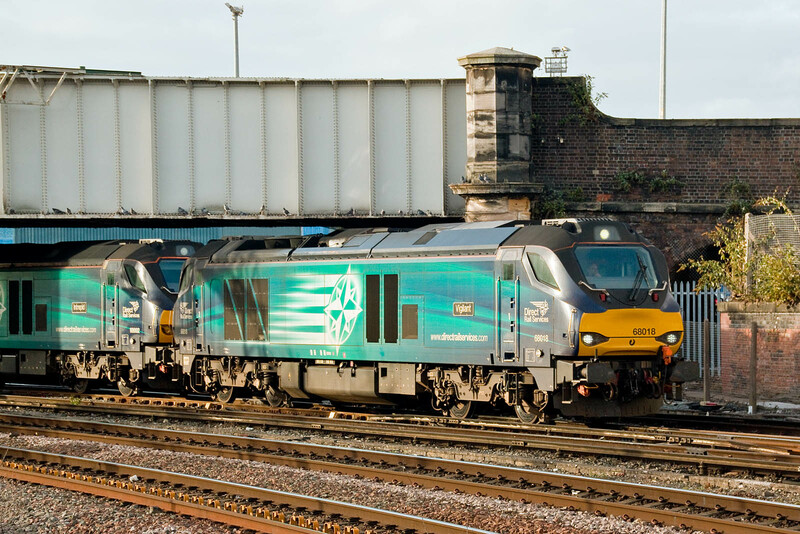 Two stored DBC Class 90s. 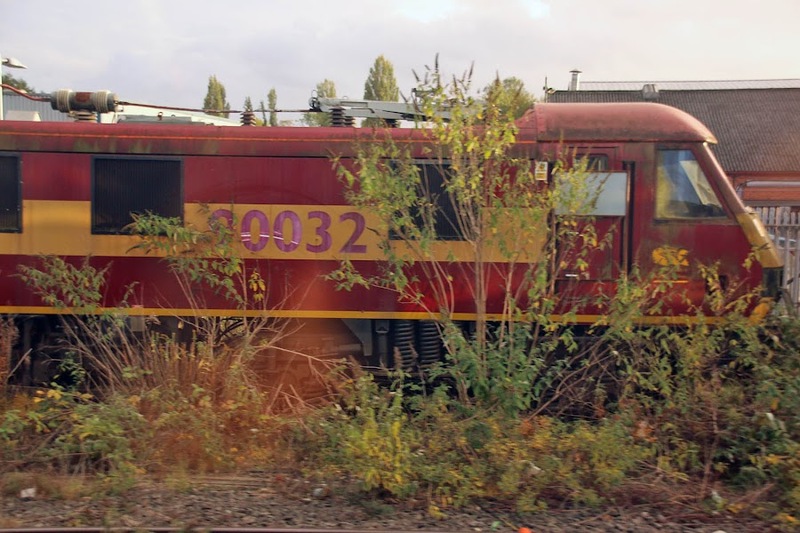 90032 was stored in February 2004. 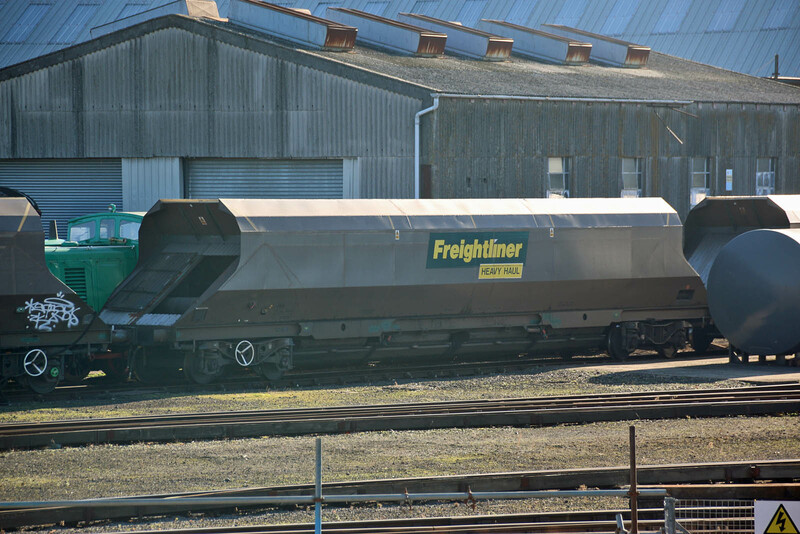 90038 was stored in July 2005. 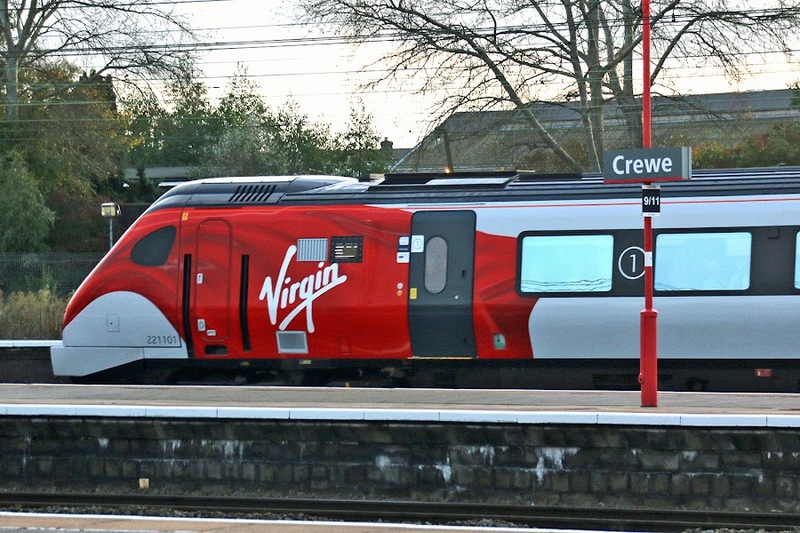 Expected to be one of a kind, recently re-liveried Voyager 221101. Into traffic only the preceding day. Northern Railway's Class 323 units are scheduled to come off lease with that franchise by December. These were subject to upgrade as recently as 2016, and while originally planned to be sent to the Midlands, it now seems that whole class could become surplus at what would only be a 25 year mid-life point for aluminium bodied trains. 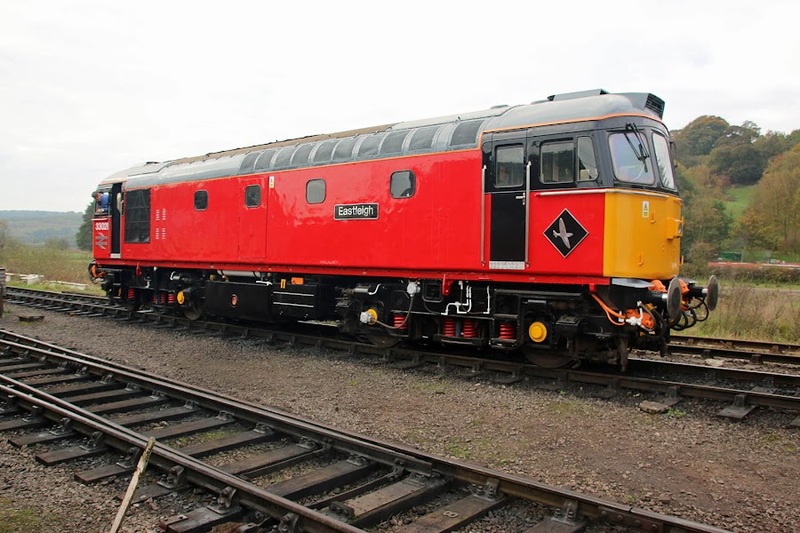 Porterbrook have a profile for the class. 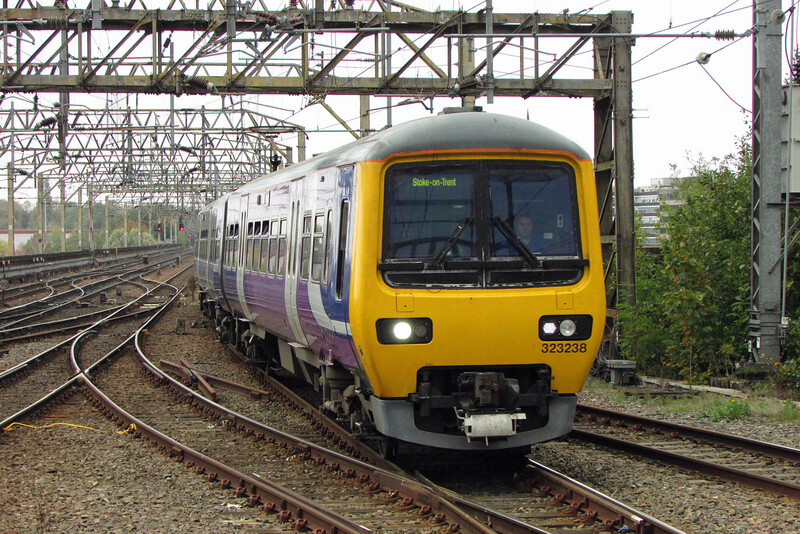 Class 319 units are currently mixed into the schedules with the Class 323 on trains from Manchester to Crewe. Class 331 units are expected in service in December. 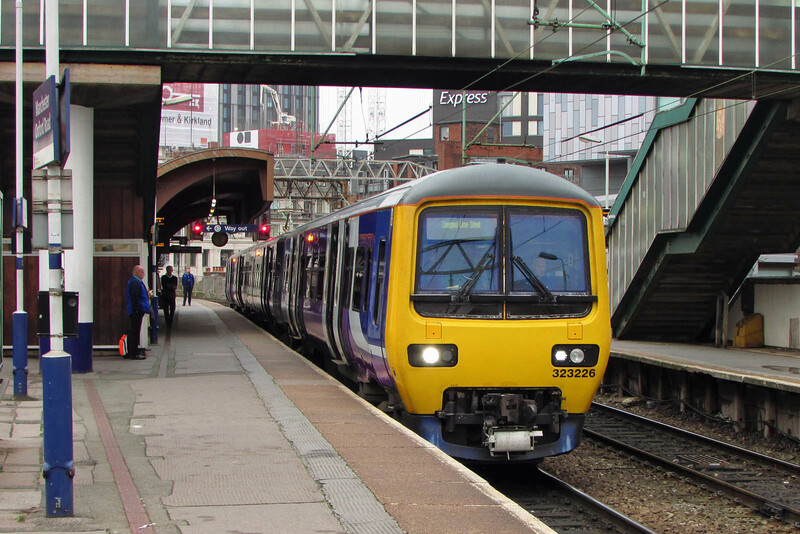 323226 at Manchester Oxford Road, Tuesday 16th October, on a working to Liverpool Lime Street. 323228 at Stockport, with a working to Stoke, Tuesday 16th October. 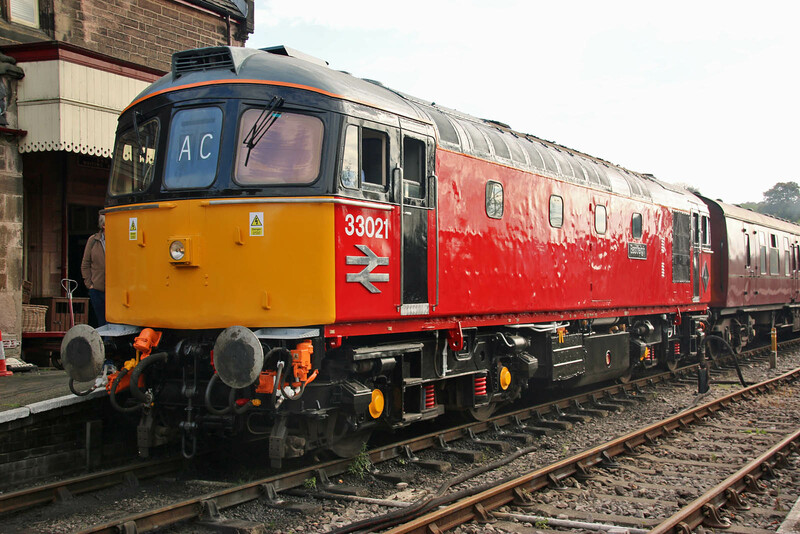 323228 also at Stockport, with a similar working to Stoke, Tuesday 16th October. 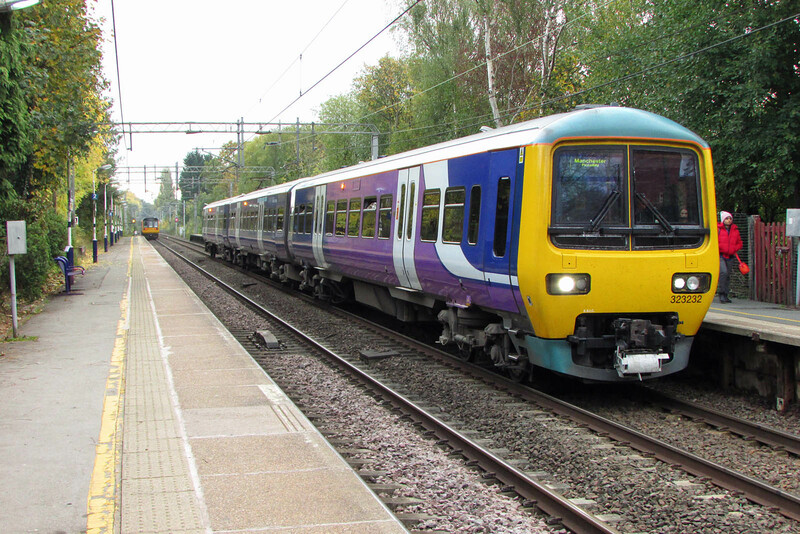 323232 at Handforth, with a working to Manchester. Wednesday 17th October.